As one of Canada’s Best Managed Companies, Associated Engineering is back! MNP’s group of accountants, consultants and tax advisors are back! Watch out! AECOM is registered! New to the Saskatoon Corporate Challenge – Butler Byers! 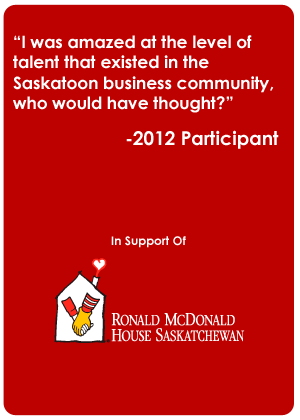 Loraas is back for another year as competitors in the Saskatoon Corporate Challenge! Now this is a team that likes to compete! AREVA Resources is in! HATCH is competing in the 2014 Saskatoon Corporate Challenge! Can they win the Sportsmanship Award again this year? Scotiabank is registered! Another new competitor! DCG Philanthropic Services has registered for this year’s Challenge!